What do you think of a backsplash rail? I've always liked them. 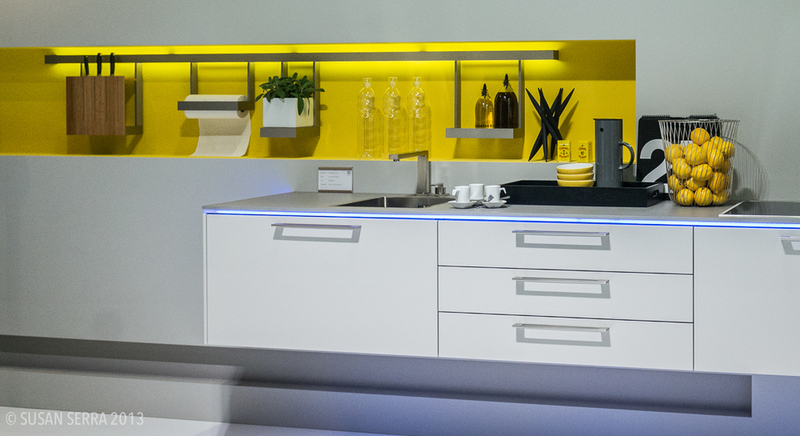 When I first started in kitchen design in the late 80s, they were very common in European kitchen design - and still are. 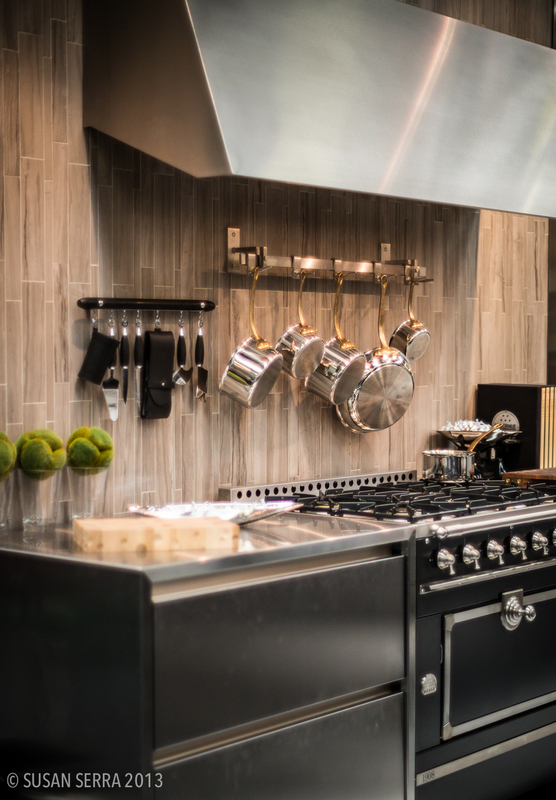 I would not call a backsplash rail a trend - it's really a classic way to store cooking equipment that is useful and intrinsically decorative too. This is an image I shot at the Architectural Digest show at the fabulous La Cornue booth. I think it's a nice eclectic look - to have the, let's say, "less kitcheny" wood backsplash wall, which to me looks more formal juxtaposed with the useful items on the rails. The black and stainless add to the glam factor but the texture and tone on the wall is very understated and soothing. Of course, the pots are gorgeous with those brass handles! Other options to add some warmth to backsplash rails are to add tea towels hung over the rail, place some herbs or flowers in utensil holders, put a small piece of artwork on a rail shelf or decorative crockery as a few ideas. The great thing about this kitchen design element is that it can change - just move useful items around the rail, add and subtract items, and create a whole new look for any reason or occasion. Change is good! 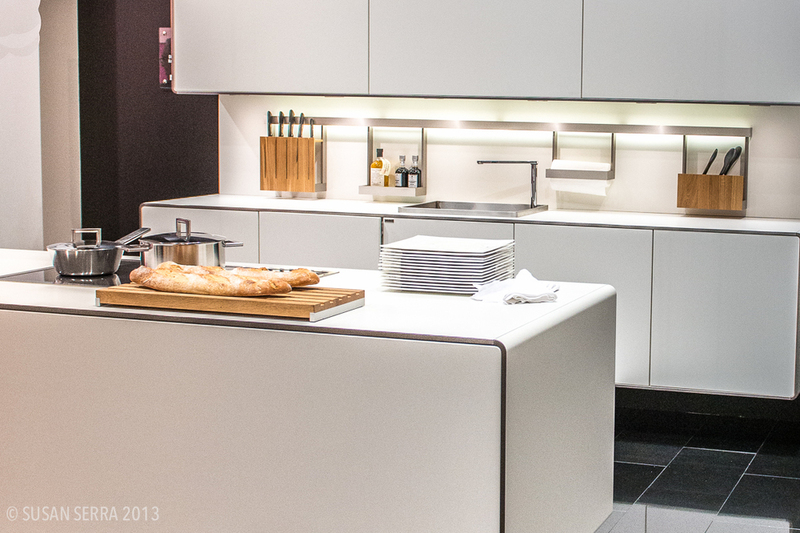 Following are other images of backsplash rails that I took while in Germany at the LivingKitchen fair. One of the best sources for a backsplash rail is the great collection of accessories and backsplash rail systems from Clever Storage. 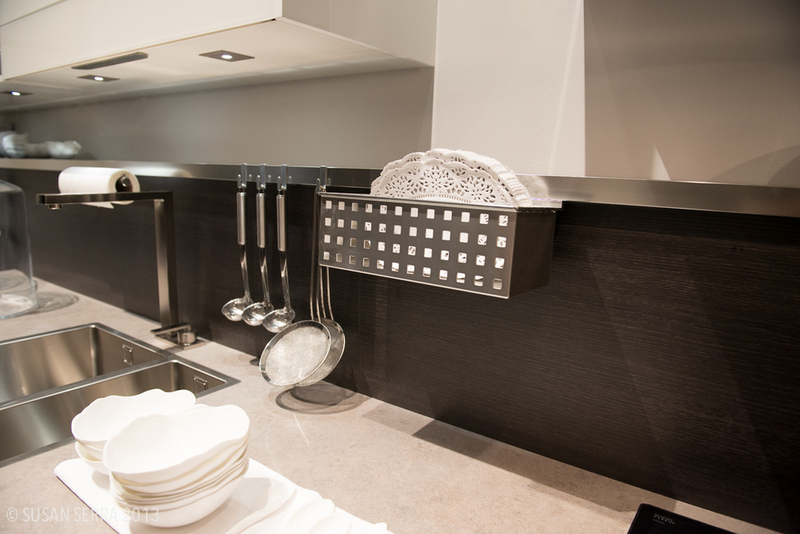 Would you use a backsplash rail in your kitchen?